6. Packaging Detail: 425gx24 tins/ctn,c anned, tin and galss jar, Bulk, Vacuum Pack or as per the clients' requirments We also supply IQF cut corn,whole corn or IQF sweet corn grain,canned corn kernel,or as per the clients' requirement. 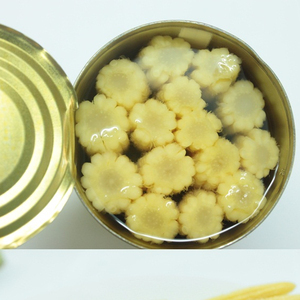 NAME Zhangzhou New South China International Trading Co. Shen ZhangZhou New South China International Trading Co.
Canned baby corn is a kind hight-grade vegetables. it is rich in vitamins,protein,minerals,nutrien-rich,and have a unique scent ,taste,fresh and delicious. 1.Ingredient:baby corn,salt,water and citric acid. is our foreign trade department based in Xiamen, a beautiful garden city. Major in supplying all kinds of canned foods to all over the world, include Canned Vegetable,Canned Fruis an Canned Fishes etc . 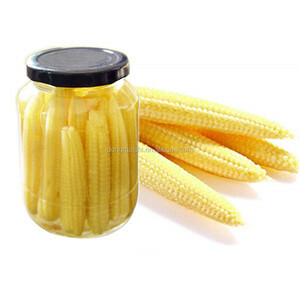 Canned Baby Corn whole -Material: Fresh Raw Material; -Ingredient: Baby Corn, Salt, Water; -Size: L &le;10cm; Dia. Service : Good pre-sale and after-sale service. Sample : The sample can be provided be for the offical order. Require : Your require will be responded as soon as possible. Canned Baby Corns / Canned Vegetables/Baby Corn! We specialize in green agricultural products cultivation, processing and sales in China. Our product mainly export to Japan, Korea, Germany, Russia, Belarus, Thailand, Malaysia, Dubai ect country. We insist on the honesty and trustworthiness cooperation, quality is first, provide the best service and best products for every customer. Pro Date/ Exp Date Print on the open lid Package Can in and carton out, with printing label MOQ 1*20'FCL mixed canned baby corn Payment Terms L/C at sight or T/T. ,Ltd Main products: Canned Vegetable:Mushroom,Sweet Corn,Green Pea,Mix Vegetable,Baby Corn,Green Bean,Asparagus,Tomato. 2.May i have my own brand9 About the brand,we always supply OEM,the client could have their own brand. 3 .
, a professional canned foods supplier for more than twenty years, has already become an international symbol of quality and service, expertise and reliability. LONG XIAN is able to supply her global customers various canned foods with top quality and most competitive prices from our factories located in china mainland. or it is 15-20 days if the goods are not in stock, it is according to the quantity you need. 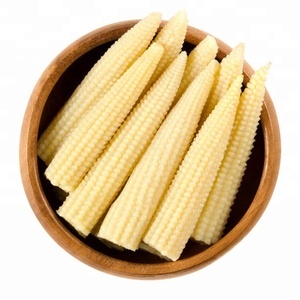 Alibaba.com offers 1,241 canned baby corn products. About 100% of these are canned vegetables, 3% are corn, and 2% are frozen vegetables. A wide variety of canned baby corn options are available to you, such as gmp, brc, and iso. You can also choose from peeled, steamed, and seasoned. As well as from can (tinned), vacuum pack, and mason jar. And whether canned baby corn is brine, water, or salt. 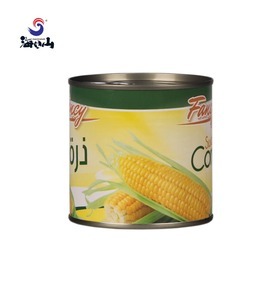 There are 2,247 canned baby corn suppliers, mainly located in Asia. The top supplying countries are Vietnam, China (Mainland), and Thailand, which supply 55%, 36%, and 2% of canned baby corn respectively. Canned baby corn products are most popular in Eastern Europe, South America, and North America. You can ensure product safety by selecting from certified suppliers, including 1,241 with Other, 189 with ISO9001, and 169 with HACCP certification.